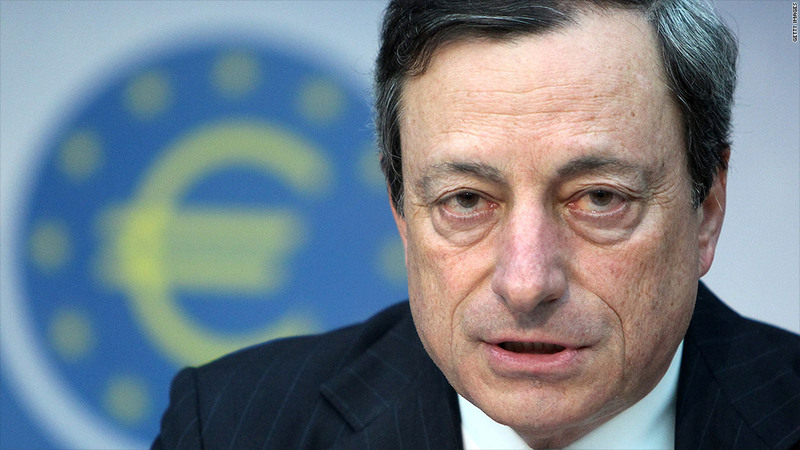 ECB President Mario Draghi is under pressure to deliver details of a new bond-buying program. Europe's long-running financial crisis took some time off, but vacation time is over. After a summer lull, investors are bracing for several key events in the euro area this month, starting with a crucial meeting of the European Central Bank on Thursday. "The markets are expecting a lot from Draghi," said Tobias Blattner, a former ECB economist who is now at Daiwa Capital Markets. "Possibly too much," he added. In a sign of the challenges he is facing, Draghi abruptly canceled plans to attend last week's meeting of central bankers and economists in Jackson Hole, Wyo., citing a heavy work load. However, in an op-ed published last week, Draghi reiterated his argument that "exceptional measures" are justified under the ECB's mandate when financial markets are "influenced by irrational fears." Draghi reportedly told members of the European Parliament in a closed session on Monday that buying bonds that mature in three years or less would not violate European Union treaties, further raising hopes for an intervention. The new bond-buying program is primarily aimed at Spain and Italy, where bond yields rose to unsustainable levels in July. But borrowing costs for both countries eased in August, following Draghi's pledge to do "whatever it takes" to preserve the euro currency. Some investors are hoping Draghi will announce a specific range for yields that the ECB would then use as its bond-buying target. But analysts say this would commit the ECB to an open-ended intervention, something it has been unwilling to do. "The ECB will still have the last say and decide when and if it will intervene, which means formal, publicized yield targets are unlikely as they would tie the central bank's hand if targets are overshot," said Natascha Gewaltig, director of European economics at Action Economics. In addition, the idea of adding more risky debt to the ECB's balance sheet remains controversial, particularly with one member of its governing council. There were rumors last week that Jens Weidmann, president of the German Bundesbank, could resign over the issue. Draghi has made it clear that governments must first ask the eurozone bailout fund to buy bonds in the primary market before the ECB will intervene in the secondary market by purchasing short-dated maturities. In other words, any government that wants to be rescued by the ECB must commit to a formal program of reforms and oversight by signing a contract with the European Financial Stability Facility, or EFSF. So far, no government has officially asked for help. But Spain is the most likely candidate. Spanish Prime Minister Mariano Rajoy has said he wants to know more about the conditions before making a commitment. Analysts say Rajoy may hold off until the European Stability Mechanism, which will replace the EFSF, is officially up and running. Spain has already asked for up to €100 billion in loans from the EFSF to recapitalize its banking sector. In addition to bond purchases, the ECB could cut its main refinancing rate to 0.5%, after lowering it to a record low of 0.75% in July, according to Blattner. He also expects the ECB to announce additional credit easing policies, including a third long-term refinancing operation, or LTRO. Meanwhile, investors are keeping an eye on several other issues that could come to a head this month. In Greece, officials from the International Monetary Fund, European Union and ECB will return to Athens this week to complete their review of the nation's finances. The report will be crucial in determining whether or not Greece will receive its latest installment of bailout money. But it remains to be seen if the Greek government will be able to finalize the roughly €11.5 billion of cuts demanded by the so-called troika of lenders. The German Constitutional Court is expected to issue a decision on Sept. 12 about the legality of the ESM, which is the cornerstone of the eurozone's financial firewall. The court is not expected to rule against the ESM, but it could attach conditions that would make it difficult for the fund to respond quickly to crises. Spain is facing a number of hurdles in the weeks ahead. In addition to deciding whether to tap the bailout funds, Spain is also awaiting the results of a second audit of its banking sector, which will determine how much the government needs to borrow from the bailout fund. Last week, Moody's said it plans to complete its review of Spain's credit rating by the end of September. The Netherlands is another source of uncertainty, with elections scheduled later this month. The Dutch government collapsed in April after an impasse over budget cuts caused the nation's prime minister to resign. Cyprus could also make headlines. Eurozone finance ministers are expected to discuss the nation's request for a bailout when they meet on Sept. 14. On Monday, Moody's put the European Union on notice that its Aaa credit rating was at risk, revising its outlook on the EU's creditworthiness to negative the outlook.